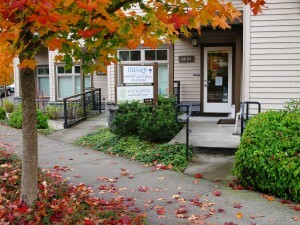 The physical clinic, in Southwest Portland, is an 1800 square foot space opened by Dr. Brody in 2007. She set out to create a beautiful environment filled with natural materials that would allow patients to relax and enjoy their time there. We pride ourselves on short wait times and long enough appointments that you feel heard. You’ll not find yourself in the waiting room long, unless you are one of those who deliberately arrive early to enjoy our magazine selection and a cup of tea before your appointment. The practitioners at ENHC have a truly integrative approach that reaches beyond our clinic. We not only work together collaborating on patient care, but we also are committed to assisting you in putting together a team that meets your individual needs. That may include western medical primary care and specialists as well as practitioners of other natural health disciplines. We understand that each patient has his or her own value system around health. It is our job to understand your values and support you within them. Our hours, address, and contact form can be found HERE, and find directions HERE. 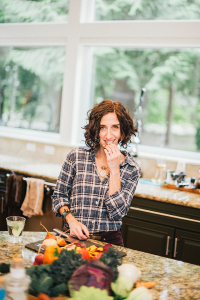 Click HERE for Dr. Samantha's speaking, writing, classes, and online consulting for clients not in the Portland area. At Evergreen Natural Health Center our goal is to provide the highest quality naturopathic and Chinese medical care available. The doctors at ENHC educate, present choices, and then empower you to find your unique path to health. We are not only physicians but also health educators and coaches who can help introduce you to new ways of caring for yourself. At your first appointment, which will be about an hour, we talk about you, your history, your health goals, and what has and hasn't worked for you in the past. We do physical exam and recommend any lab work we think should be done. We then present you with options for where we head next. At your own pace, we challenge “I can’t,” and explore what is in your control. We use our knowledge and expertise to give you the tools to implement changes in your life. It is our job to not only identify what is out of balance, but also to walk you down the path of regaining balance. We believe that health is feeling vital and is not merely the absence of disease, and it cannot be achieved with a cookie-cutter approach. Each person that walks through the door of our clinic is unique, so we take the time to carefully develop an individualized treatment plan, addressing you as a whole person and recognizing that all aspects of your health—physical, emotional, and mental—are inseparably related. We also believe that when you’re getting individualized support to make changes that are in alignment with your own values, and that work within your life and your lifestyle, making permanent changes becomes something absolutely within your reach. Given this, we never present you with a laundry list of things you can’t eat or supplements you must take. Sometimes we cannot make a condition go away entirely. But by decreasing the overall stress on the system, we can decrease symptoms and discomfort, while increasing your energy and improving your outlook. Some goals of healing are waking every morning more energetic, having enough energy to make it through the day, and either relieving or resolving symptoms completely. Have you always known you wanted to be a doctor? I’ve always thought that I could have had any number of different careers because my interests are so varied. In college I was in a performance group called Rhythm & Shoes, ostensibly an early ‘90s Glee. I loved it. If I’d had a bit more talent I might have pursued that route for a career (and when I say a bit, I mean a lot.) But then again, I adored numbers and I couldn’t just ignore that. My geek claim to fame is that I truly loved and enjoyed studying for for and taking the SATs. I even took them a third time for fun. My first major in college was economics and at that time I thought I’d follow in my father’s footsteps and go to business school. I studied psychology as my second major in college and was on the verge of becoming a therapist before I learned of Naturopathic medicine. Once that happened, it was a done deal. I knew without a doubt that I had found my career. Well, almost. I had been getting acupuncture for several years by that point and when I realized I could combine them, the picture was complete. A few years ago a neighbor asked my husband where I’d been since she hadn’t seen me in a while. He responded that I just prefer being inside organizing. It’s true, kind of. I do love having a clean and organized space around me. It keeps my head clear and allows me to be able to focus on whatever task or activity is at hand. That might include throwing a frisbee with my ten year old, curling up and reading a book of short stories, or going to watch one of my kid’s soccer, ultimate frisbee or futsal games. In the last few years I’ve also started traveling again. I have a hobby of “miles hacking” where I use tips and tricks to accrue airline miles for free travel. In the last few years I’ve traveled to Guatemala, Mexico, Turkey, Italy, Spain, Portugal, and Belize, as well as a number of other places in the US without paying a dime! And photography. I love taking photos. Come on by and follow me on Instagram @DrSamanthaND! What is your health and healing philosophy? I believe that the best approach is the one that is least likely to cause harm and the most likely to heal. Sometimes that may mean a medication while you make lifestyle changes that will ultimately resolve your concerns. Other times it may mean dietary changes and supplements. Two people can walk into my office with the same medical diagnosis, yet walk out with completely different treatment plans. It is my job to use a combination of knowledge, experience and intuition along with an understanding of each patient’s individual values to offer an approach that is truly unique to that patient. Your values. Your life. Your choices. I am a physician but also a health educator and coach here to introduce you to new ways of caring for yourself. At your first appointment, we talk about you, your history and your health goals. At your own pace, we will challenge, “I can’t,” and explore what is in your control. I give you the tools to implement changes in your life. I never present patients with a laundry list of things they cannot eat or supplements they must take. I work with each individual to educate not only about what I think is going on in his or her body, but about why I am making each and every recommendation. (And I take one step beyond that: coaching how to implement the changes I may recommend.) Sometimes we cannot make a condition go away entirely. But by decreasing the overall stress on the system, we can decrease symptoms and discomfort, while increasing energy and improving outlook at the same time. I heard you’re writing a book, is it true? Yes, I’m proud to say that my new book Overcoming Overwhelm—Dismantle Your Stress from the Inside Out will be published by Sounds True publishing on 1/1/19. We will have some yummy pre-order bonuses available early fall. If you want updates, sign up HERE. 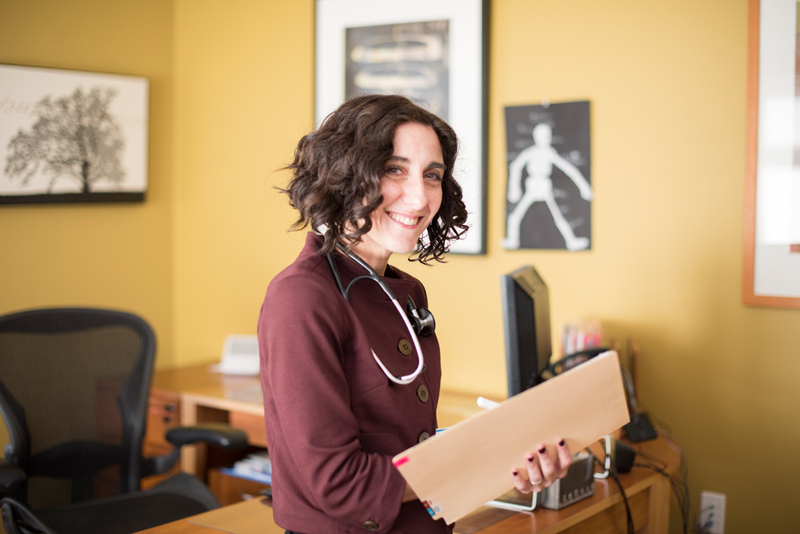 Learn more about Dr. Samantha's education, training, and licensing. If you are looking for virtual coaching and consulting, or are from the medial, please visit Dr. Samantha's website for more information. What do you do for ENHC? You will find me at the front desk answering the phone, assisting patients, carrying out daily operations, and doing my best to make sure that the office is running smoothly. What brought you to ENHC? I returned to work at ENHC after taking time off to be home with my young children. I have worked in the clinic at the front desk and as an Acupuncturist. I have my masters in Acupuncture and Oriental Medicine and first came to work for Dr. Samantha when I was attending graduate school. Now that my youngest daughter is in elementary school I’m very happy to be back at work at the front desk. What do you like to do when you're not at ENHC?